Over the past decade, several high-profile 401(k) fee lawsuits and DOL efforts to implement a fiduciary standard for professional investment advice have put 401(k) fiduciary responsibility in the national spotlight. Unfortunately, this attention has done little to help employers understand and meet their 401(k) fiduciary responsibilities. This confusion is a big problem because employers risk personal liability when these responsibilities are not met. 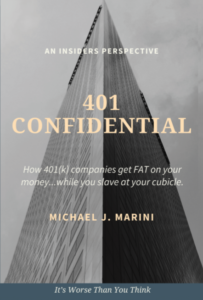 Not helping matters are 401(k) providers that fearmonger fiduciary responsibilities to sell complicated outsourced fiduciary services that don’t effectively reduce an employer’s liability. Often, this sales tactic transforms employer confusion about their fiduciary responsibilities into panic about their fiduciary liability. In truth, it doesn’t need to be difficult for employers meet their 401(k) fiduciary responsibilities and avoid liability. They just need to understand these responsibilities and how they can be met with professional assistance. The Employee Retirement Income Security Act (ERISA) states that a person is a 401(k) fiduciary “to the extent that he exercises discretionary control or authority over plan management or authority or control over management or disposition of plan assets, renders investment advice regarding plan assets for a fee, or has discretionary authority or responsibility in plan administration.” While ERISA defines several 401(k) fiduciary roles, a person’s fiduciary status is based on their plan function. 401(k) fiduciary responsibilities related to plan investments can seem particularly scary to employers, but they’re in fact the easiest to meet. They boil down to picking a fund lineup of “prudent” investments that gives plan participants access to a broad range of financial markets – so they can diversify their accounts. A prudent investment is simply one that meets its investment objective for a reasonable fee. Picking prudent funds is easy with index funds – which are designed to track a market benchmark (e.g., the S&P 500 index). This is true because comparable index funds (i.e., funds with the same market benchmark) from any of the largest providers – including Vanguard, Blackrock, Schwab, and Fidelity – offer similar returns and low fees. This uniformity makes it easy for employers to avoid underperforming funds with excessive fees that increase their fiduciary liability. That’s in sharp contrast to comparable actively-managed funds – whose returns and fees can differ dramatically. Meeting the diversification requirements of ERISA section 404(c) is the key to offering plan participants. access to a broad range of financial markets. These requirements are not difficult to meet. In fact, a simple 3-fund lineup that includes equity (stock), fixed income (bond), and capital preservation (money market or stable value) funds can do the trick. A simple way for employers to meet their investment-related fiduciary responsibilities is modeling their 401(k) fund lineup after the Federal government’s Thrift Savings Plan (TSP) – whose prudent investments would meet ERISA 404(c) diversification requirements. While the funds used by the TSP are not available to the general public, it’s possible for any employer to model their fund lineup after the TSP using commercially-available index funds. Employers can also outsource their investment-related 401(k) responsibilities to an ERISA 3(38) financial advisor. Keeping the governing plan document in compliance with applicable law. Meeting ERISA participant disclosure and government reporting requirements. Completing any necessary plan testing and timely correcting any test failures. Maintaining plan records in accordance with ERISA document retention rules. The good news? A qualified 401(k) provider will complete most of the administrative tasks necessary to meet these responsibilities. 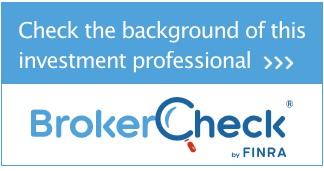 For employers to confirm these tasks have been completed, I recommend using a checklist. 3. Paying only reasonable expenses from plan assets. Employers have a fiduciary responsibility to pay only reasonable and necessary fees from 401(k) plan assets. Keeping 401(k) fees in check is of the most important fiduciary responsibilities because even small excessive fee amounts today can dramatically reduce a participant’s account balance decades from now. 401(k) fee benchmarking should be done at least every 3 years. Employers have a fiduciary responsibility to deposit employee contributions (including any participant loan repayments) in their 401(k) plan as soon as these contributions can be reasonably be segregated from their general assets (the “general rule”), but in no event later than the 15th business day of the month following the month in which the contributions were withheld from employee wages. Small employers (100 or less employees) can meet the general rule automatically by depositing employee contributions no later than the 7th business day following the date of the withholding. Employers must be covered by an ERISA fidelity bond due to their discretionary authority to control the assets of their 401(k) plan. This bond protects 401(k) plan participants from dishonest acts by the employer. Generally, the minimum coverage must equal the lesser of 10% of plan assets or $500,000. Bonds are available from a surety or reinsurer named on the Department of the Treasury’s Listing of Approved Sureties. Selecting competent service providers with reasonable fees may be the most important – and confusing – 401(k) fiduciary responsibility. This is the case for two reasons – 401(k) plans are technically complex and the services offered by 401(k) providers can vary dramatically in breadth, depth and price. Once a 401(k) provider has been selected, employers must “monitor” that provider’s job performance – to ensure they are completing their assigned responsibilities (fiduciary or not) competently, timely and for reasonable fees. To make this fiduciary responsibility as easy to meet as possible, I recommend employer only hire 401(k) providers with transparent services. Employers should not fear their 401(k) fiduciary responsibilities! While hiring an ERISA 3(38) financial advisor can be a great idea, I don’t recommend that employers outsource other 401(k) fiduciary responsibilities to their 401(k) provider. That’s because monitoring a 401(k) provider with fiduciary (discretionary) control over plan assets or administration can be difficult to impossible – which, ironically, increases an employer’s fiduciary liability. Instead, I recommend employers meet their 401(k) fiduciary responsibilities themselves. They are nothing to be afraid of. With some basic guidance, they can be easily met. One-quarter of private sector workers in the United States lack access to a workplace retirement savings plan, making it difficult for them to build the resources needed to support themselves after their working years. Although Social Security and personal earnings or savings contribute to retirement security, most Americans save through employer-provided plans, but even those with such plans face challenges accumulating enough money for their retirements. When crafting their approaches, it is useful for states to understand why some employers offer plans and others do not. In 2016, The Pew Charitable Trusts conducted a survey of owners, top executives, and human resource managers at more than 1,600 private sector, small and midsize businesses nationwide. One focus of the survey was to identify the obstacles to, and motivations for, offering plans and to gather data on what plans are currently offered and plan characteristics. For example, do they include matching contributions, automatic enrollment, or automatic escalation of contributions? The survey, one of the few focused on retirement plans since the Great Recession, includes employers that do and do not offer retirement benefits to their workers. In conjunction with Pew focus group research, the findings show that employers care about their employees’ financial well-being but are concerned about potential costs, administrative capacity, and familiarity with the options when considering whether to offer a plan.2 In addition, 93 percent believe that their workers would prefer a higher salary over better retirement benefits. If you participate in a 401(k) plan, you should understand the rules for withdrawing money from your account – otherwise known as taking a distribution – even if you don’t plan to touch this money for decades. 401(k) plans have restrictive distribution rules that are tied to your age and employment status. If you don’t understand your plan’s rules, or misinterpret them, you can pay unnecessary taxes or miss distribution opportunities. If you’re a small business 401(k) plan sponsor considering the purchase of another company, the last aspect of the deal you’re probably considering is the seller’s 401(k) plan. However, it’s important for you to have a strategy for that plan in place before your deal is closed. Otherwise, you could be stuck with a 401(k) plan that includes costly protected benefits or uncorrected defects. The good news? Developing a strategy is simple. There are only a handful of considerations. Will your purchase be an asset or stock sale? When you are planning to buy a company, your options for their 401(k) plan will depend upon whether the purchase is an asset or stock sale. Under an asset sale, you purchase the seller’s assets and liabilities, but the seller retains possession of the legal entity. Under a stock sale, you purchase the seller’s stock – thereby taking possession of the seller’s legal entity (in addition to their assets and liabilities). Why is this distinction important to your 401(k) plan? If your purchase is a stock sale, you have just two options for handling the seller’s 401(k) plan – merge it into your plan or retain it on a stand-alone basis (the latter being very rare due to IRS nondiscrimination rules). Your options are limited because you and the seller are considered the same employer for 401(k) purposes in a stock sale. However, you’re considered different employers in an asset sale, which gives you a third option – have the seller terminate their 401(k) plan before the acquisition. Why terminate the seller’s 401(k) plan prior to acquisition? The seller’s 401(k) plan includes “protected benefits” you don’t want to assume. While some protected benefits can be eliminated after a period of time (e.g., safe harbor contributions), others must be retained forever (e.g., liberal vesting terms or in-service distribution options). The seller’s 401(k) plan includes uncorrected defects that you don’t want corrupting your plan. These defects become your plan’s problem once a merger occurs, making your plan vulnerable to IRS disqualification. You want to treat the seller’s employees as new employees for purposes of your 401(k) plan. When you purchase a company in an asset sale, your plan is only required to credit employee service with the seller for eligibility and vesting purposes when a merger occurs. Even when a seller’s 401(k) plan is terminated, your plan can still credit employee service with the seller. You just need to explicitly credit that service in your plan document. When you decide to merge an acquisition’s 401(k) plan into your own, you have time to make that happen. IRS nondiscrimination rules include special transition relief for 401(k) plan sponsors that buy another company with a 401(k) plan. They allow you to test the two 401(k) plans separately for nondiscrimination until the last day of the plan year following the year of acquisition. This extra time is helpful when an acquisition’s 401(k) plan includes protected benefits that can’t be eliminated until some future date – like safe harbor contributions. Simple planning is the key to staying out of trouble! When you’re planning a company acquisition, there is a lot to consider. However, overlooking the seller’s 401(k) plan can be a costly mistake. While you’re most likely to merge it into your 401(k) plan, you may want the seller’s plan terminated instead due to costly protected benefits, plan defects or how you want the seller’s employees treated by your 401(k) plan. The good news? Developing a strategy for an acquisition’s 401(k) plan is usually straight-forward. Need help? An experienced 401(k) provider has probably helped hundreds of 401(k) sponsors make this decision. See the original article on our partner’s site Employee Fiduciary. Payroll management is a function that impacts employees, managers, and HR staff. As teams increasingly work remotely and need access to key systems on the go, mobile access to payroll systems is receiving increased scrutiny and investment. In fact, the Society for Human Resource Management reveals that HR departments’ adoption of mobile technologies is expected to increase 17 percent in 2017. From submitting and approving hours on the go to providing easy access to reporting dashboards, the right mobile tools can help everyone in your organization. Here’s a closer look at how mobile technologies benefit different parts of the workforce, and why this trend is taking root in growing businesses in the year ahead. For human resource managers, payroll management can benefit from access to a variety of dashboards. From ensuring that all workers have submitted their hours on a timely basis and they’ve been approved by managers, to verifying that wage payments have been processed correctly, access to information is critical. Questions that arise and need to be answered outside of standard working hours are easier to address when HR managers can do so away from the office. In addition, HR managers often need access to reporting and compliance information. With mobile tools, a payroll-related question that comes up in a meeting can be quickly answered with accurate, real-time data, rather than becoming an action item for follow-up. Managers play a critical role in the payroll process. Often, when members of their team submit time, it’s important that managers have access to that information to approve it in a timely fashion. There may be a short window between when a worker submits their time and when the manager has to review, approve, or reject, in order to make regular payroll cycles. Mobile payroll management tools allow leaders to access this information at any time. For example, if a payroll submission comes in when a manager is attending meetings offsite, they’re able to use their mobile device to complete the process. Managers may also need to access payroll information for budget planning, confirming compliance, or to answer staff questions. Mobile access provides the opportunity to manage payroll processes as needed, without unnecessary delays. With the increase in flexible work arrangements, employees may be anywhere when the deadline to submit their time arrives. With mobile payroll and time and attendance tools, it’s easy to file the hours that have been worked from a smartphone, tablet, or home computer. And clearly, employees want to have this capability on their smart devices. In fact, according to original Paychex research, the number one reason that employees log into HR software is to view their paycheck and pay history. Other popular tasks include viewing accrued sick time and vacation time, looking at tax documents, or updating tax and deduction information. Whether they need to answer a supervisor’s question or simply check their paystubs, employees can use mobile tools that add new levels of flexibility and convenience to self-service. Efficient payroll management is an essential part of keeping your business moving forward. Making the change to mobile payroll tools ensures that your HR processes are keeping pace with changing business models. Workers and managers appreciate the flexibility and are able to adhere to payroll-related timelines with ease. For HR managers or executives who need to approve time or access reporting, improved tools allow for seamless process management. See the original article on Paychex Worx – Knowledge At Work.